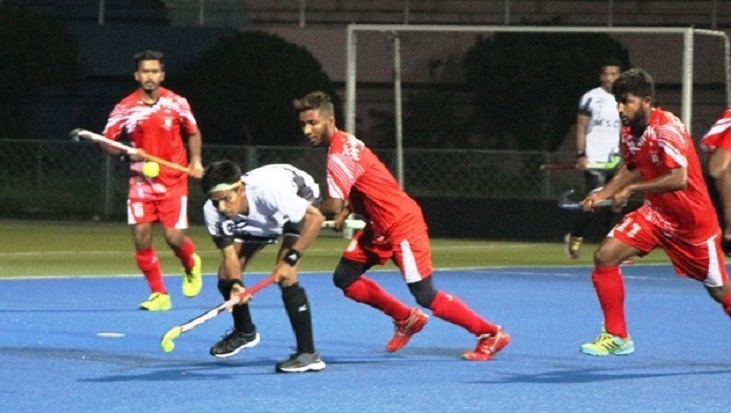 Mohammedan Sporting Club Limited won the battle of prestige as they beat their arch-rival Abahani Limited by 2-1 goals in the vital match of Green Delta Insurance Premier Division Hockey League on Monday at Moulana Bhasani National Hockey Stadium, reports BSS. In the day's match, Imran Hossain Pintu put Mohammedan ahead converting a penalty corner in the 24th minute while after the breather Arshad Hossain restored the parity for Abahani with a field goal in the 55th minute. Indian recruit Narinsar Singh sealed the victory for Mohammedan converting a penalty corner one minute before the long whistle. Earlier, in the day's first match, Victoria Sporting Club dumped Sadharan Bima by 7-1 goals at the same venue. In the day's match, Abdus Salam, Jograj Singh, Rimon Kumar Ghosh, Rakib, Shahibaz Sheikh, Hriday and Prince scored one goal each for Victoria while Abdullah Al Mansur scored the consolation goal for Bima.